If the Adidas Superstars series is one of your favourite shoe choices, the brand has a surprise for all Adidas fans as they have recently collaborated with Pharrell Williams and reinvented the shoe model into 50 different colours. Yes, 50! Williams and Adidas named the classic shell-toe shoes the Adidas Originals Superstar Supercolour Pack with the theme of ‘freedom of expression’. 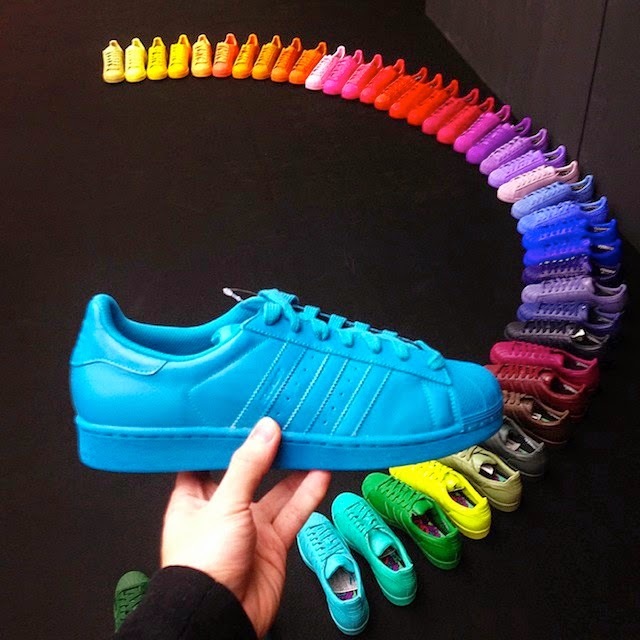 50 different colourways of Adidas Originals Superstar "Supercolour" Pack. "The Superstar is such an iconic shoe and one that has lasted for such a long time, so I felt maybe I would do something I hadn’t seen before," said Williams in a statement. The Supercolor is a celebration of equality through diversity and therefore they have made it available into all available sizes for men, women and children's sizes. 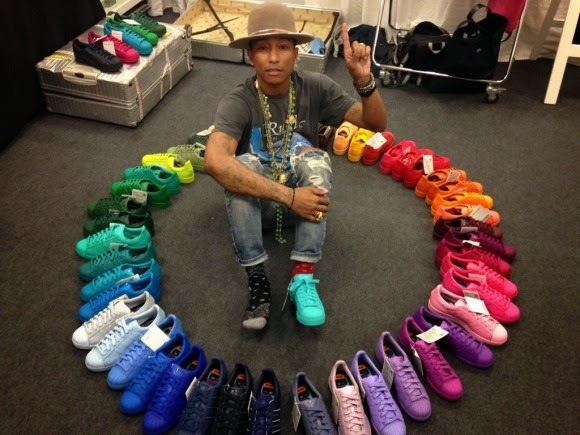 "With 50 colors of the Superstar, everybody will be able to select his or her colour," Williams added. A short clip advertisement directed by Karim Huu was filmed in black and white background while highlighting the colourful Supercolour sneakers. In the voiceover, Williams reminded all sneakers lovers not to decide on their own style by following others' style, but to start making their own choices of style starting with the Supercolour sneakers. Below is the video clip of the advertisement.